This Condo is Extremely Popular!! Call NOW for AMAZING rates & DISCOUNTS!! 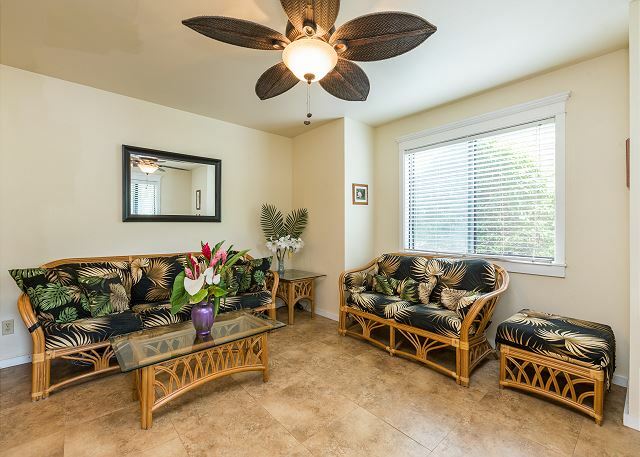 This comfortably priced condominium rental is a hot commodity on the desirable North Shore. 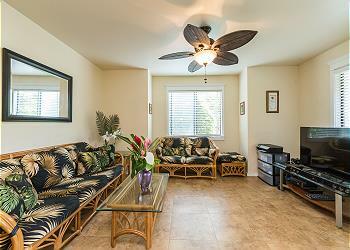 With up-to-date amenities, classic Hawaiian motif and an epic location, you can’t go wrong! Two bedrooms easily sleep 4, while a strategic floor plan on two levels offers ample space and privacy. 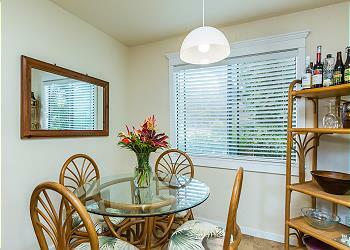 Enjoy fancy furnishings and a full kitchen, plus everything you need to feel at home. 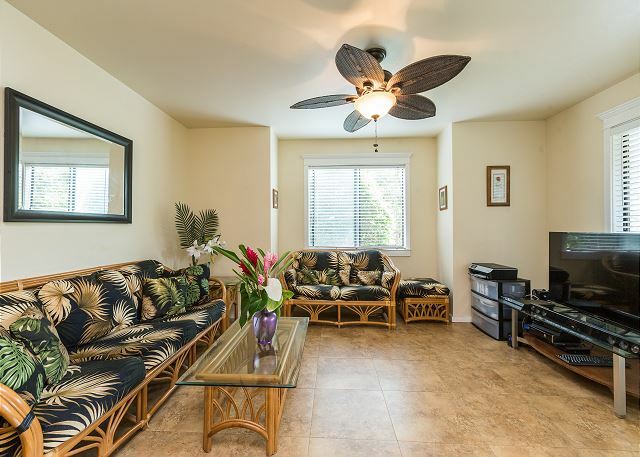 Located just minutes away from the Princeville Shopping Center in one direction and downtown Hanalei in the other, you have numerous activities at your fingertips. Explore famous white sand beaches, hikes, golfing, dining and shopping! 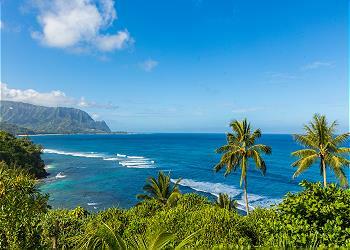 The North Shore of Kauai is quintessential paradise. Dramatic cliffs plunge into invigorating turquoise waves and lush jungles fringe inviting white sand beaches. 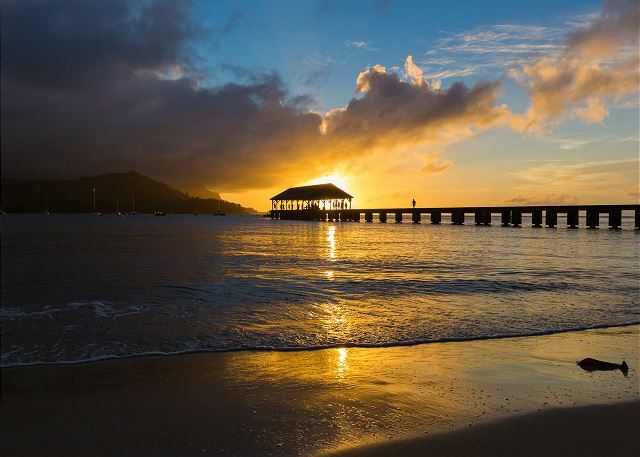 Home to the infamous Hanalei Bay and the Nepali Coastline, the North Shore cradles some of Kauai’s most treasured gems. 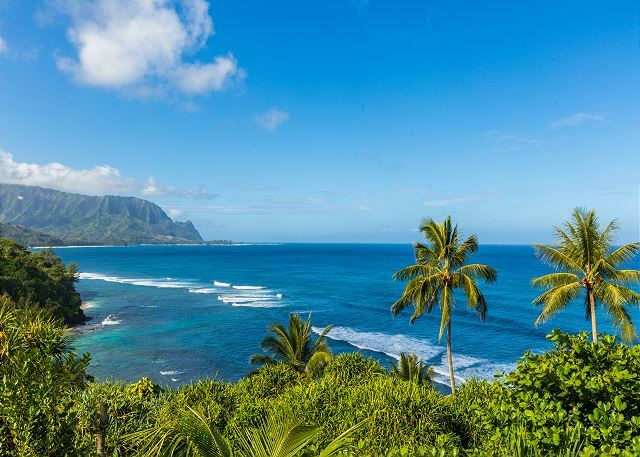 It’s easy to dive into the local culture when staying on the North Shore, as the environment is cozy and the sentiment is filled with Aloha. It was nice, except the roosters wake you up at 4 AM. Also, it was right after they had a terrible storm and the beaches were in a bad shape. You cannot argue with mother nature. The one thing that I would definitely not recommend is using their Kauai Exclusive Concierge for booking any of your outings. I always book them on my own, but this time I decided to use the suggest one. Sherrie Orr booked the Luau Dinner Shows THAT DID NOT come close to Luau dinner. It was Costco food and the pig wasn't even cooked in the ground. I really wanted my mom to experience the real Luau and show, but it was bad and expensive. IT was also a just a show, the the real thing. She also booked the driving for my husband and that was a misery. I would recommend the place to stay, but do not deal with Sherrie Orr, she sounds nice on the phone, but her bookings are rip-offs. We were very pleased to have used this service and to be able to stay at this condo. It was very comfortable and well suited to our desire to relax during this vacation. We had a great time staying at this condo.Clean,quiet and good location to do anything.We will be back soon. My husband and I stayed for three nights in this unit, and had a great stay. 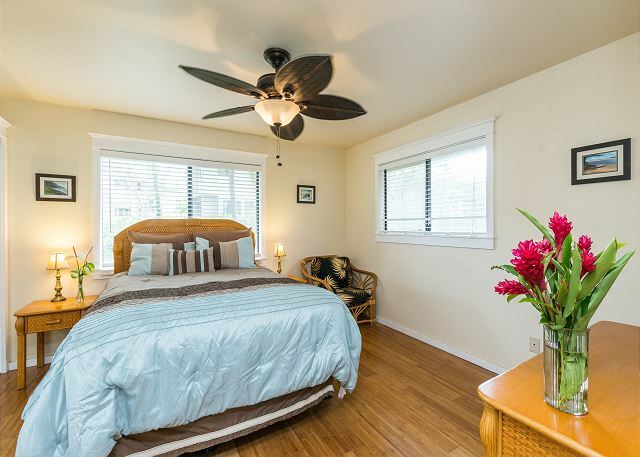 The unit is immaculate and well-appointed, very comfortable. 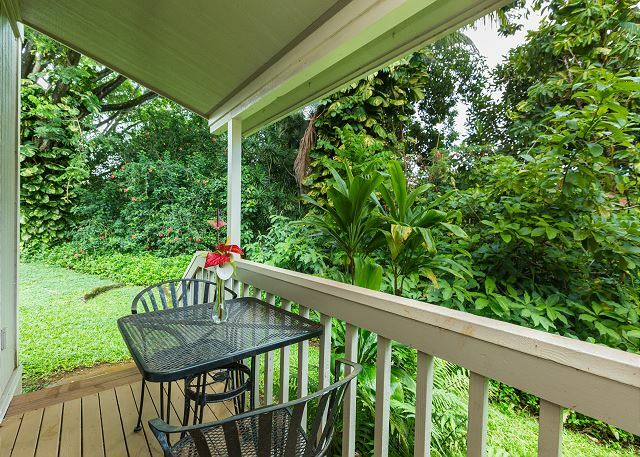 The lanai is small but perfect for breakfast listening to the birds. I liked that this small subdivision is separate from the rest of the more homogenous Princeville area. Yet the amenities are all very close. We walked down the road to the hidden former Club Med beach, went up to Hidaways Beach, and into Hanalei a lot. Bed is very comfortable, and overall it’s a great value. No view from the unit, but beautiful areas within a short walk. Great place to land if you’re going to be out an about a lot anyway. The management company was great - thorough and clear communication throughout. The location of the condo was very private and the indoor and outdoor spaces were great. The booking process was very useful, first to view options and then to select the best option for us. It was easy to follow the instructions and we had confidence in the property. It was ideal, location, size and facilities. Finding the actual address initially was very difficult due to lack of signage on roads and residences. Place was wonderful. Loved the location. We look forward to returning to this unit on our next visit! 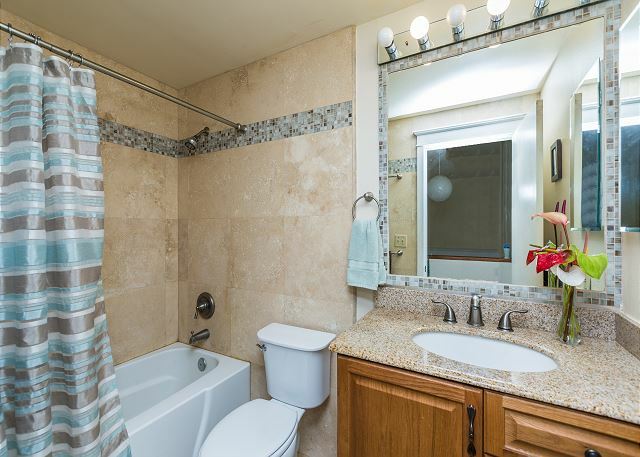 The condo was beautifully furnished with every convenience available. It’s just on the outskirts of the Princeville estates but the location is quiet, peaceful and very close to Princeville Center. We loved the walk from the house down to the beach at the end of the road. The property company was responsive and the app user-friendly. Definitely recommend! It was great. The townhouse was stocked really well with basic supplies like olive oil, seasonings, wax paper tin foil. Beds were great nice size. Lots of fans to keep it cool. We arrived just after the flooding so the island was very wet. It kept raining but we still loved it. Very convenient to shopping center. Only concern for us was one bathroom and it was upstairs but we worked it out fine. One issue with the lights was fixed quickly and management company was very accommodating. 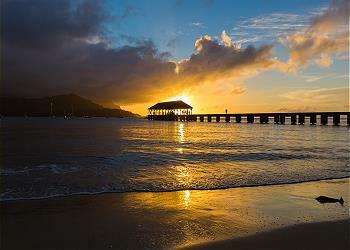 We spent quit a few days driving to the south side because of the rain and being unable to utilize hanalei bay. Excellent condo! It had everything that we needed. We had a very pleasant stay at Honu Condo 2A. The condo was very clean and attractive. The kitchen was well supplied with the basics. We loved being greeted by the black and white kitty who visited each day. Sara was good to check on our needs. We appreciated that. We would recommend this property to someone. Nice unit, had everything we needed. Our host Sarah was very helpful and booked us an awesome helicopter ride!! Thank you again for everything!! The rental was ok. Had everything we needed. Especially enjoyed the visiting cat. The neighbor kids were only noisy for about 1 hour a night as they played in the street and yard. Still don't understand why the cleaning fee was so high! Felt a little gouged on that one. Needed instructions for the tv. Different from ours. No address number on street. Made a little more challenge to find. And then we chose the wrong entrance. Perfect Oasis for our Ohana!! This location was ideal for all the best beaches and adventures. The neighbors were friendly and lovely in the adjoining condo!! We asked them for some tips and they were very helpful while we were there! Cute keiki's!! The condo was comfortable and great kitchen with good knives for cutting up local fruit and food! 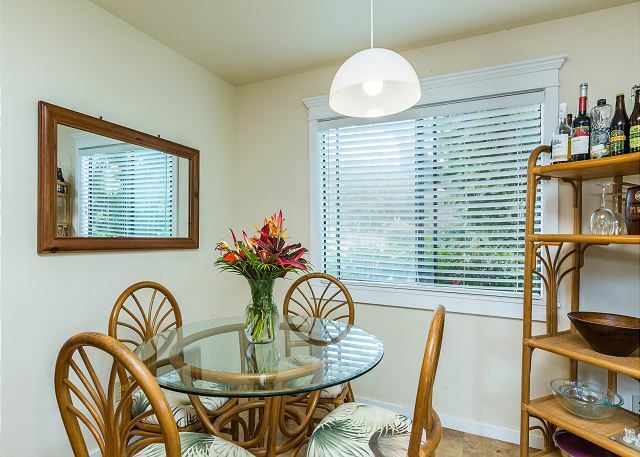 Wonderful Princeville condo near shops, dining, beach, weekend farmers market and more. Condo was very clean and plenty of room. Sean and team were extremely helpful. We had a wonderful time. The house was clean and very well equipped. We had no trouble cooking our own meals or doing our own laundry while we were there. This little black and white cat always greeted us at the backdoor each time we came home, we never let him in but sat on the porch and pet him. We named him Jack, be good to him if you stay there! We'd definitely come back! 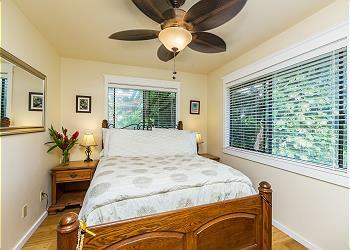 It was in a great neighborhood and centrally located within a 5 minute drive of the bay. Perfect vacation rental for family of 4. Clean, comfortable space. I would like an ocean peak or view next time. The place was very nice, clean and well equiped. Your treatment of issues was fantastic. 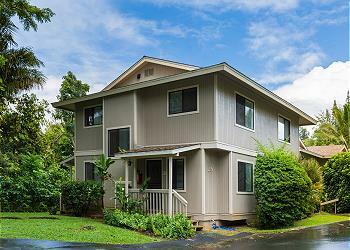 Well located, 2 minutes away from Hanalei Bay and Princeville. Also next to Foodland for grocery and such. Spotless, clean, well equipped with a grill. It is very comfortable, but the bed in the small bedroom is ready to be changed. Our family of 4 enjoyed our stay at Kauai's Princeville Honu Condo 2A! 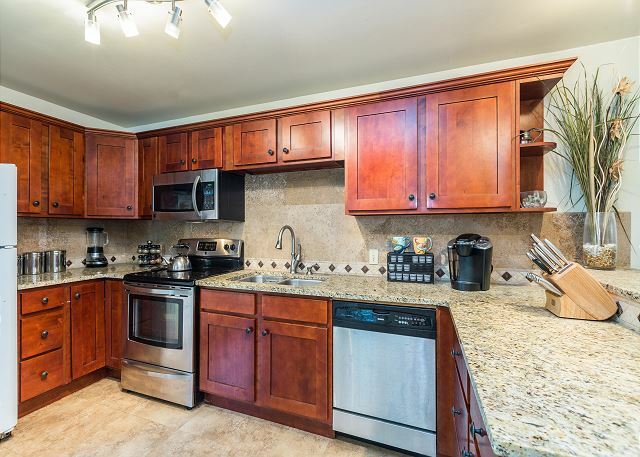 The condo is comfortable, with a well-equipped kitchen. The area is quiet and peaceful. I would stay here again as it fit our needs perfectly. Nice condo at a great price.